As I said in my last post, I'm finding ways to enjoy winter now that I have a certain amount of freedom from it. Below are just a few pics from the Winter Play Time Activities I've participated in over the past five weeks. 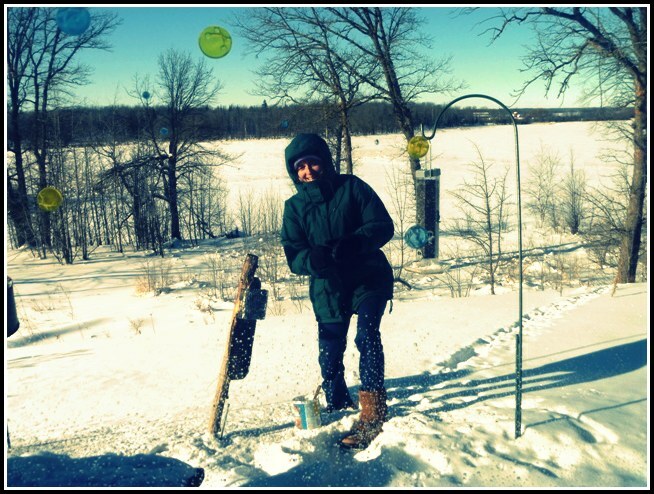 Refilling the bird feeders at my aunt's house in Bemidji, Minn. It was -20 degrees but the sun was out and the birds were hungry and it just felt great to be out there (in appropriate attire, of course). 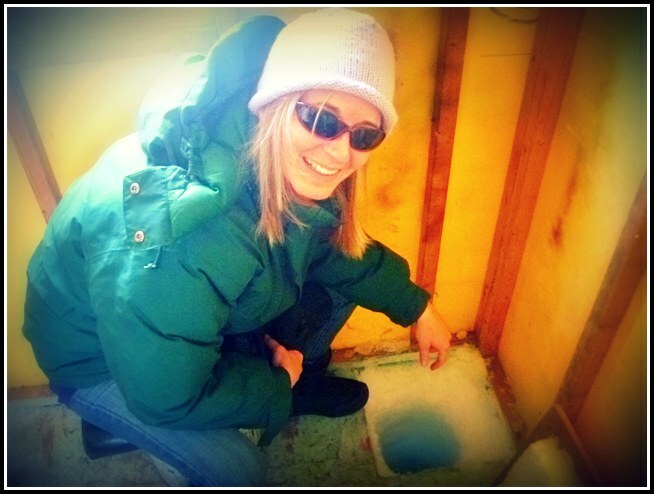 Checking out the ice-fishing house. 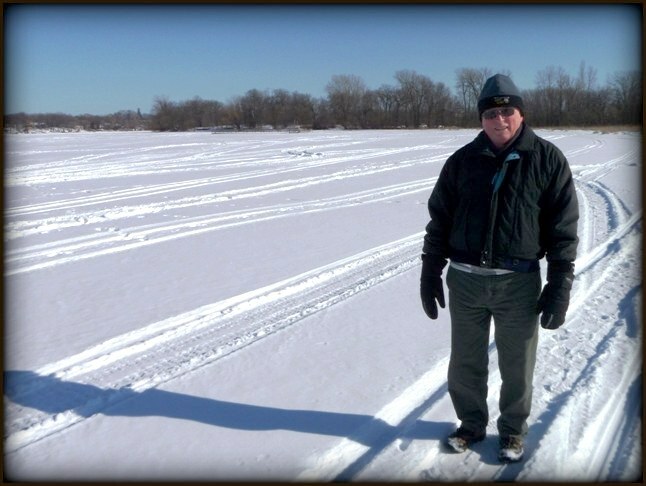 Walking out to Nan's dad's ice-fishing house on Farm Island Lake. 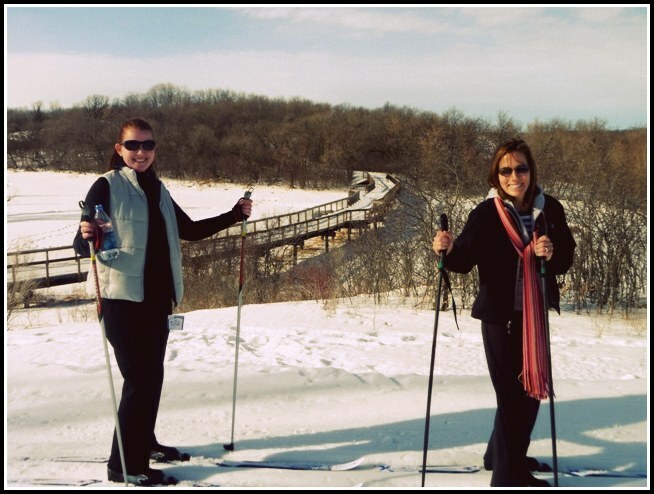 Cross-country skiing with Stephie and Nan on a "warm" Sunday afternoon. And hitting up the Maple Grove Tavern for pull tabs, fries, and beers afterwords! 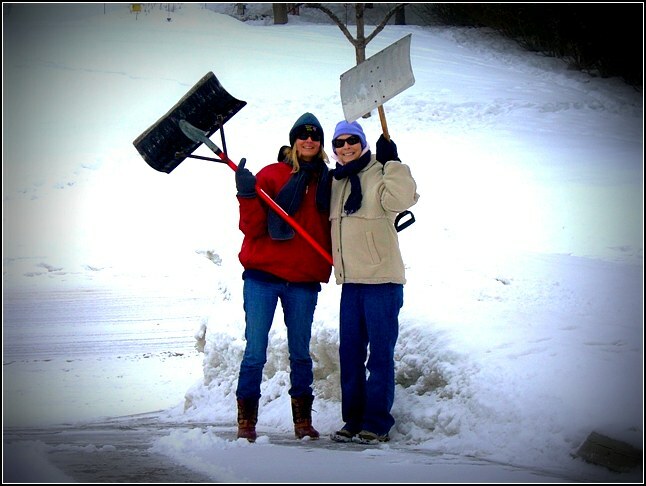 Shoveling with Mom. Done it twice now with her. 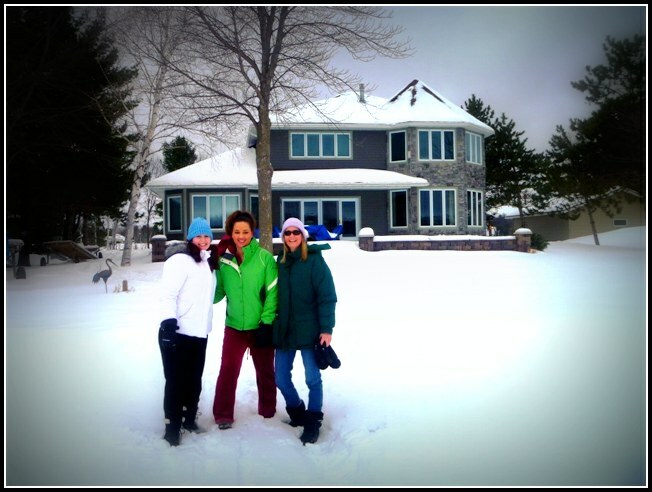 I'm not sure what's more impressive... that she shovels while going through chemo or that I shovel, period.